World Health Day’s message is simple – giving people access to healthcare without the prospect of financial hardship. At the YMCA. we believe everybody should have the opportunity to lead happy, healthy lives. Since 1891, our approach has been built upon the 3 core aspects of wellbeing: mind, body and spirit. Working in, and with, local communities, we strive to support individuals, children and young people to develop the skills, experiences relationships and behaviours to become successful and contributing adults. At the YMCA, encouraging healthy lifestyles is always an area we focus on, such as helping our youngest members at Nursery to access and drink fresh water from water fountains to keep hydrated, promoting dental care and best practice with Nursery children and parents, and offering female sexual health clinics at our Newtown Community Centre: these are just some of the healthcare things we do. Our Community Branches also receive generous food donations from local supermarkets, including Co-op, as part of their Community Food Schemes. 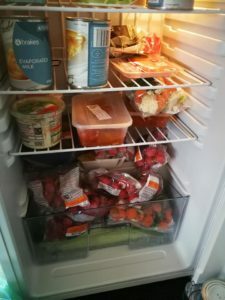 We have a popular ‘Community Fridge’ scheme running in the YMCA Andover branch, this enables local people to take any extra bits they may need that week for their family to ensure healthy nutrition. 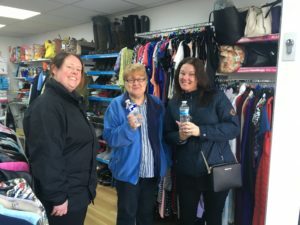 In March, our Woolston Community team supported National Nutrition & Hydration Week and went on a stroll around Woolston giving out free bottles of water to the local community. They popped into our Weston library to give out bottles to the customers which were all gratefully received! One customer asked who provided the water which we explained the community work we do and money we raise from our weekly groups had paid for the water. Lots of people in the community enjoyed a free bottle and extra hydration! Putting people at the heart of all we do means we deliver the very best for children, young people and families. But there are many ways in which you too can get involved – perhaps you could volunteer your time or expertise or donate; whether that’s your time, monetary, food or resources – our community cupboards are there to help the local community if they need it. If you’d like more information, or to volunteer please ask a member of staff or email [email protected]. Thank you, we really do appreciate all the support from our volunteers!